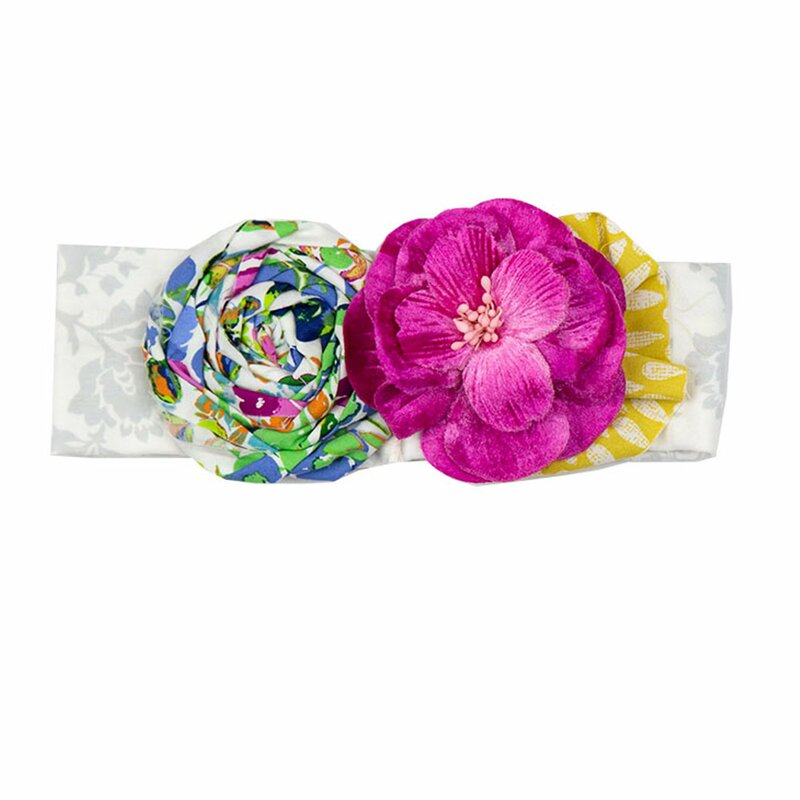 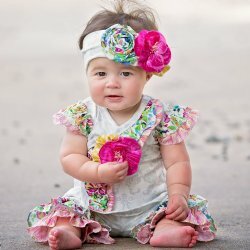 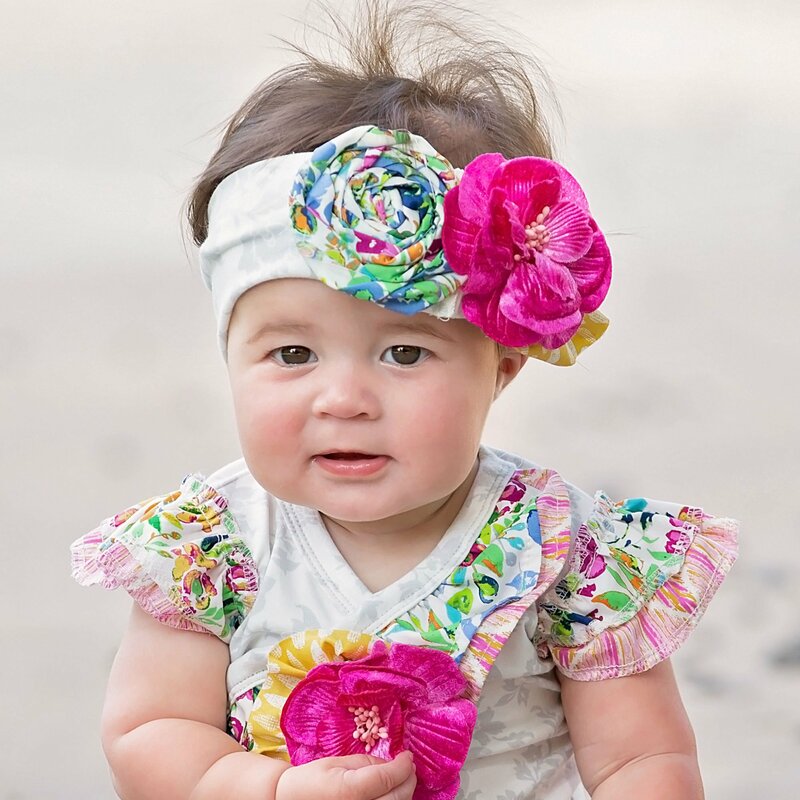 This Haute Baby "Floral Fantasy" headband pairs with the 2 pc. 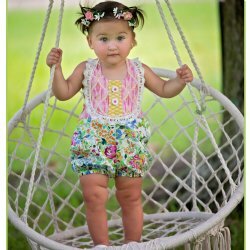 criss cross set and sunsuit from the same collection. Headband features all the pretty patterns found on the garments and embellished with two floral accents. Soft and comfy that's perfect for baby.